Adopted on February 4, 1955. The Ptarmigan, (Lagopus lagopus,) a close relatives of forest and prairie grouse was adopted as the official state bird of Alaska on February 4, 1955, four years before Alaska was admitted to the Union. Ptarmigan are small chicken-like birds which live year round in the arctic lands, and are found most commonly on tundra hiding in rocks or bushes. Ptarmigan, close relatives of forest and prairie grouse, live in alpine and arctic tundra throughout the northern hemisphere. 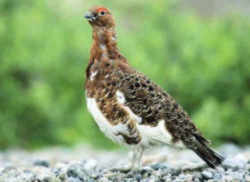 There are three kinds of ptarmigan, and all are found in Alaska. 1.) Willow Ptarmigan (Lagopus lagopus) are found nearly everywhere in Alaska's high, treeless country. 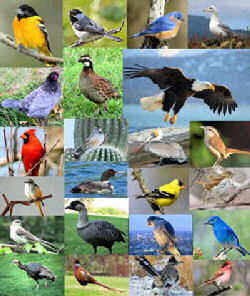 They occupy a broad range throughout Canada, Scandinavia, Finland and Russia. 2.) 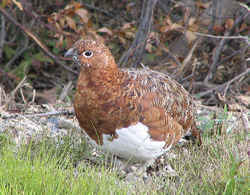 The famous Red Grouse of Scotland is a race of the Willow Ptarmigan. Rock Ptarmigan (Lagopus mutus) also live in Canada, Scandinavia, Scotland, and northern Eurasia. They range through most of Greenland and Iceland and have scattered southern outposts in Japan, Switzerland, and Spain. 3.) 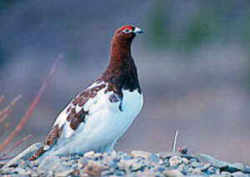 In Alaska, Rock Ptarmigan live in all major treeless areas except the flat tundras of the western and northern coasts. White-tailed Ptarmigan (Lagopus leucurus) are strictly North American. 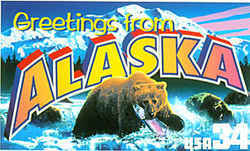 They occupy rugged uplands from the Alaska Range and central Yukon southward to Washington and northern New Mexico. Willow Ptarmigans are hardy members of the grouse family that spend most of their lives on the ground at or above the tree line. Ptarmigan look just like small grouse, weighing from 10 1/2 ounces to 1 1/2 pounds (0.3-0.7 kg) except that their toes are feathered, their wings are white all year, and they have pure white body plumage in winter. The willow ptarmigan can be found in the tundra and in thickets with alder and willow trees of the subalpine and subarctic zones. 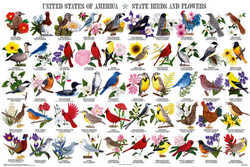 During the summer, they can be found in areas where lush vegetation and a moist environment are present, including arctic valleys, tree line areas, marshy tundra and coastal regions. In the summer, the willow ptarmigan eats flowers, buds and insects. In the winter, it eats twigs and buds from willows and alders. The female lays seven to ten eggs in a hollowed out area on the ground that is lined with feathers and grass. 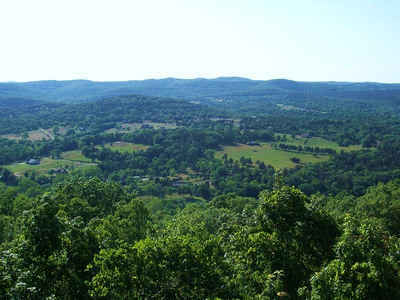 She tries to find a place sheltered by rocks, plants or logs. The male guards the nesting area while the female incubates the eggs. The chicks hatch after about three weeks and they fledge when they are 10-12 days old. In the winter, the willow ptarmigan often flies into snow banks and nestles in the snow to sleep. By flying into the banks instead of walking, they don't leave tracks for predators to follow! Ptarmigans have three seasonal plumages per year, instead of the two that are usual for most birds. These plumages keep the birds, particularly the female, well camouflaged at all times. The law designating the willow ptarmigan as the official Alaska state bird is Section 44.09.060 (State bird) of the 2015 Alaska Statutes, specifically Title 44 (State Government), Chapter 09 (State Seal, Flag, and Emblems), Section 060 (State Bird).